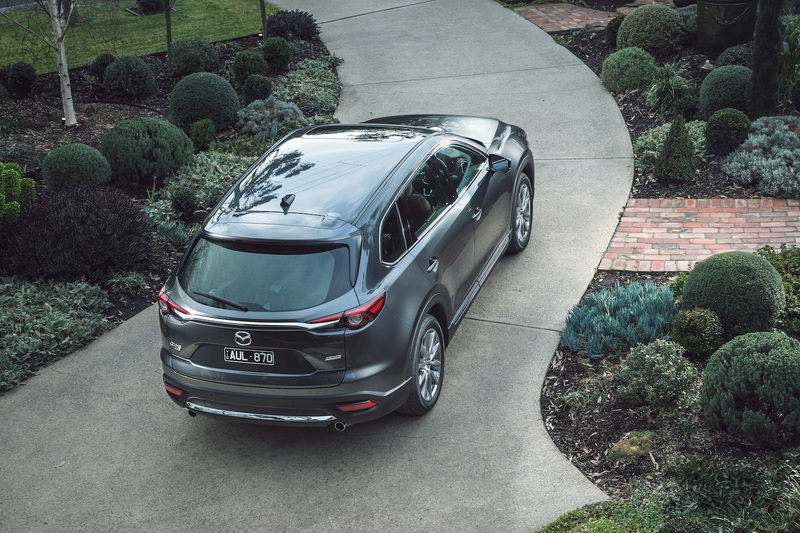 Mazda Australia has provided some updates to its largest SUV, with the introduction of the 2019 CX-9. 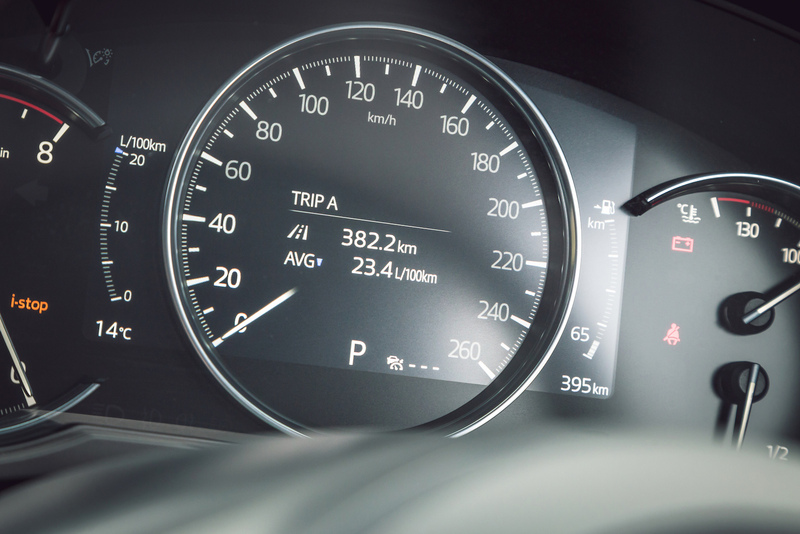 It gains a range of technology improvements and welcomes a new top-line variant called the Azami LE. 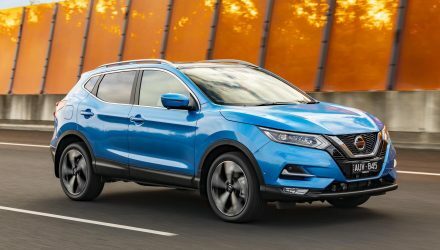 Five variants are now available for the large SUV buyer, ranging from the Sport, Touring, GT, Azami, and new Azami LE. All continue to be powered by a 2.5-litre turbo-petrol four-cylinder engine that produces 170kW and 420Nm, matched to a six-speed automatic (see our previous review and video for more on how it performs). 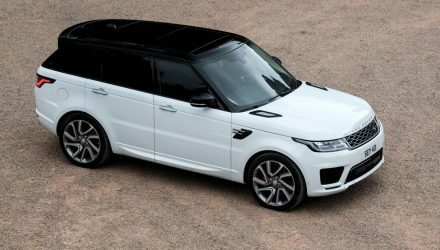 Both front- and all-wheel drive versions are available for each variant (except the LE, AWD only). Firstly, what’s the Azami LE all about? Well, it’s positioned as a premium offering that promises to set a new standard for affordable luxury. 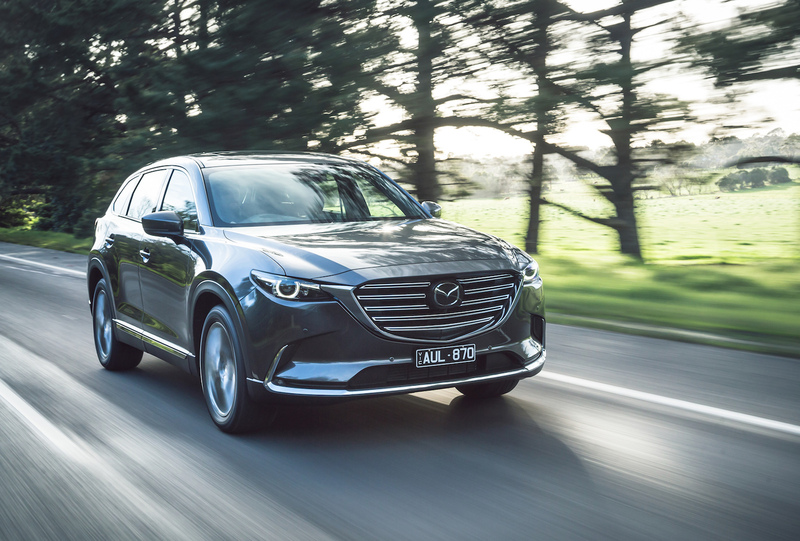 This is in response to customer demand for the high-grade CX-9s so far, Mazda says. It’s offered with a unique colour palette with rich and genuine materials inside, including deep red, Chroma brown Nappa leather, real wood veneers, and elegant LED ambient lighting. 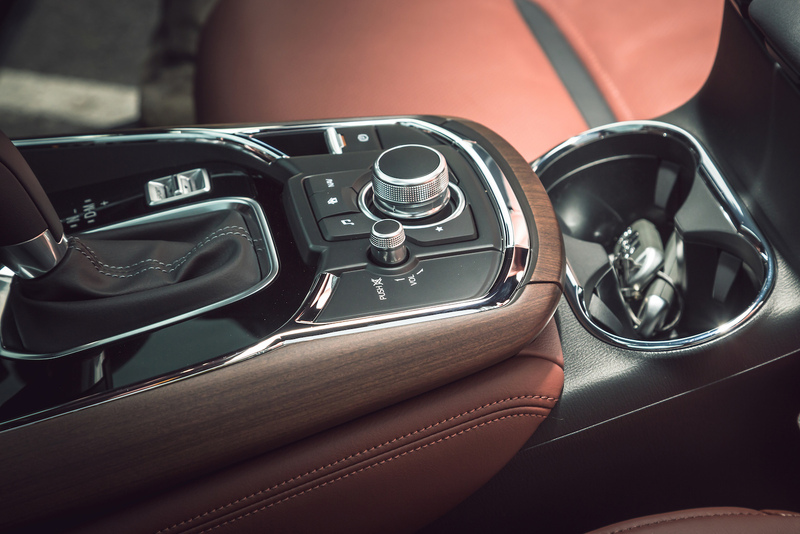 There’s also a cleaner overhead console design and handcrafted stitching for the leather-wrapped steering wheel. 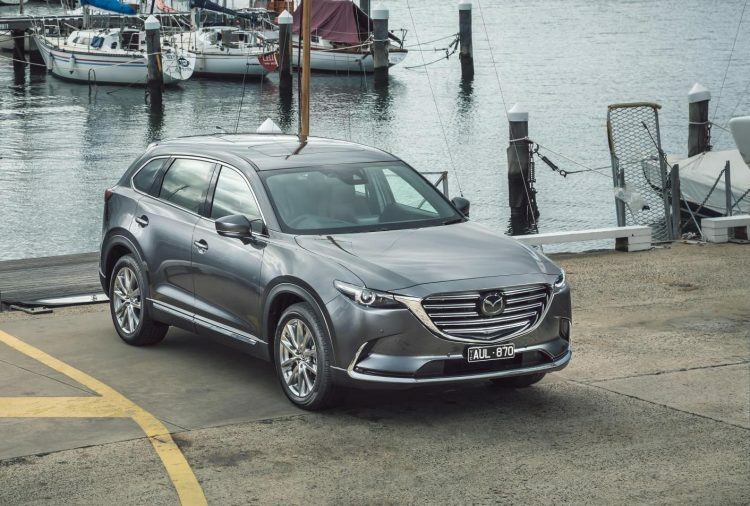 In other areas of the range, all models now come standard with Apple CarPlay and Android Auto (first Mazda SUV to be offered with these), as well as a comprehensive package of i-ActivSense safety technologies. 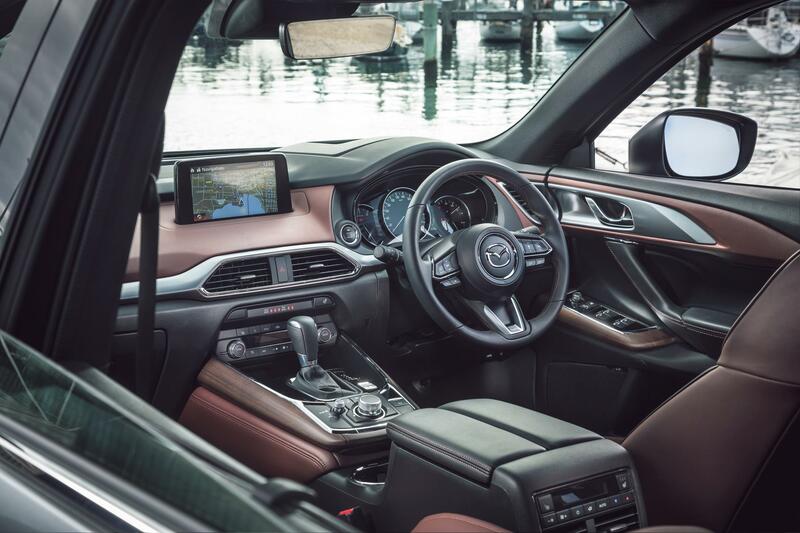 The i-ActivSense suite includes things such as radar cruise control with stop & go, autonomous emergency braking, lane departure warning, lane-keep assist, traffic sign recognition, and auto high-beam control. A rear-view camera and rear cross-traffic alert is also standard. 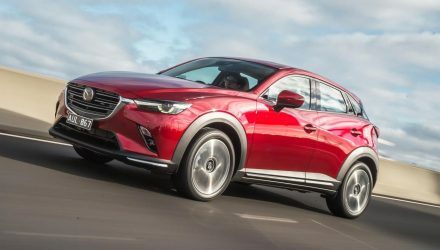 Mazda has applied some revisions to the underpinnings for a smooth ride, with changes to the suspension and steering, lower-friction dampers and recalibrated springs, with urethane top mounts for the rear end. 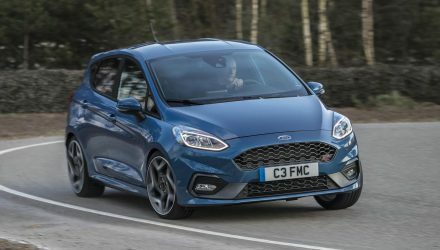 There’s also a redesigned steering knuckle and ball joint that promises a more neutral feel. 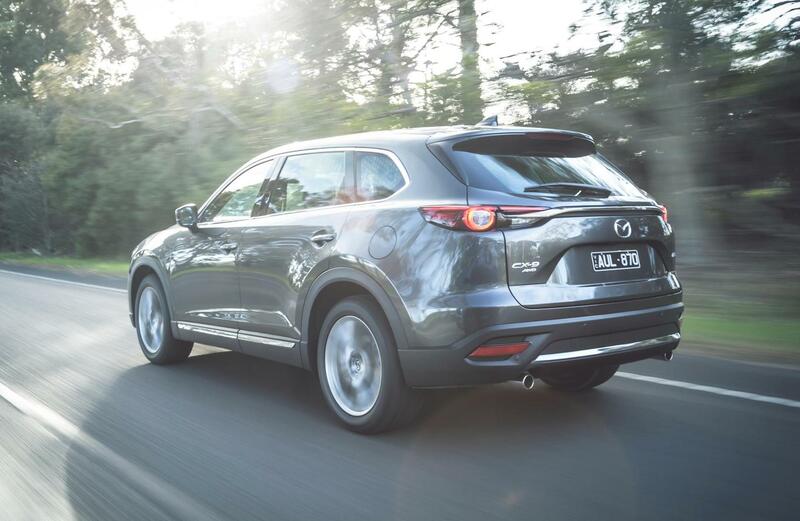 As a result, Mazda says noise, vibration and harshness levels (NVH) are improved.